If you ever wanted to have paddles for your DualShock 4 controller but found them to be a little on the expensive side, then video game accessories maker Collective Minds might have the perfect accessory for you. 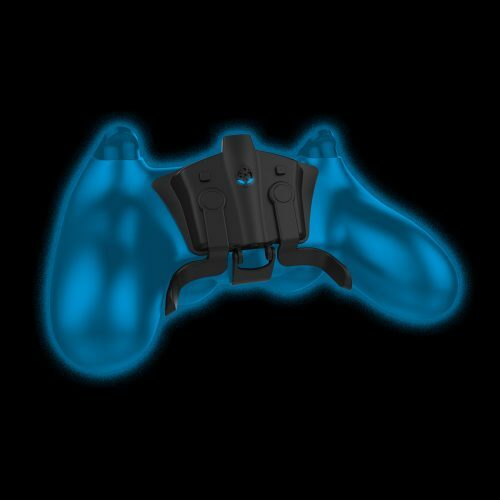 Called the Strikepack FPS Dominator (yeah, it’s a mouthful), it’s a lightweight accessory that snaps on to your DualShock 4 without using any screws or internal fiddling that not only gives you paddles on any DualShock 4 controller, but it has a few more features and all at a sweet $40 price point. For those not familiar with how paddles for controllers work, it essentially lets you map buttons to the paddles (usually the jump and crouch buttons), so that you won’t need to take your thumbs off to hit the face buttons. Not a fan of those and want more? The controller accessory has a “Tournament Mode” that lets you program some crazy (as in bordering on cheating) enhancements like rapid fire, jitter fire, anti recoil, auto hold breath, auto spot on Battlefield games and more. Check out our latest 60 Seconds video to see the Strikepack FPS Dominator features in depth. Needless to say, PlayStation LifeStyle does not condone cheating of any kind in online multiplayer matches and we’re hoping that anyone interested in the product does so for its paddle feature, price and accessibility rather than the questionable customization enhancements (don’t forget, there are kill cams in most online FPS’, so you could get reported and banned). Stay tuned for our full review of the Strikepack FPS Dominator very soon. You can check out Collective Minds’ complete slate of products on their website, or give them a follow on Twitter to see the latest updates from the company. Don’t forget to subscribe to PlayStation LifeStyle’s YouTube channel for more original content and the latest in game trailers.